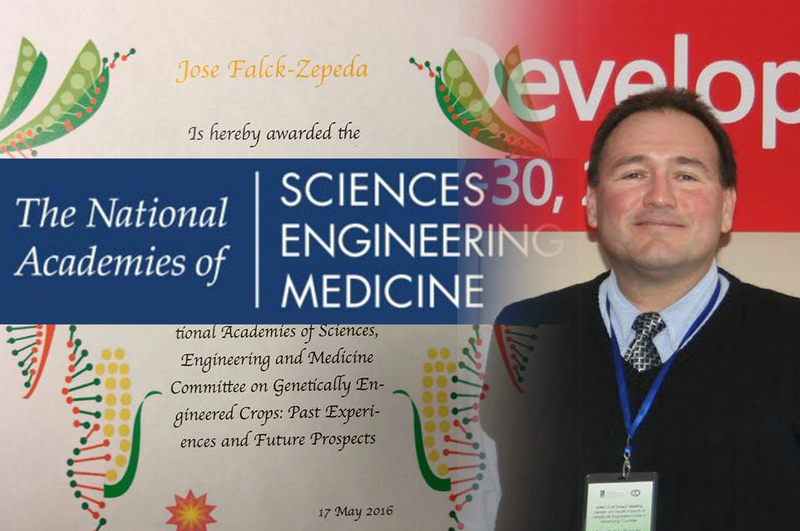 The experience of participating as a member of a committee of twenty experts from around the world to produce the report “Genetically Engineered Crops: Experiences and Prospects”, gave Dr. José Falck, ZAMORANO (class 1984), the opportunity to receive an award by the National Academies of Science, Engineering, and Medicine of the United States of America. This report now ranks first as the most viewed of all the publications by the National Academy of Sciences Press in the United States of America, according to Altametric. This report has been downloaded more than thirty-one thousand times from the online site of the National Academy of Science. 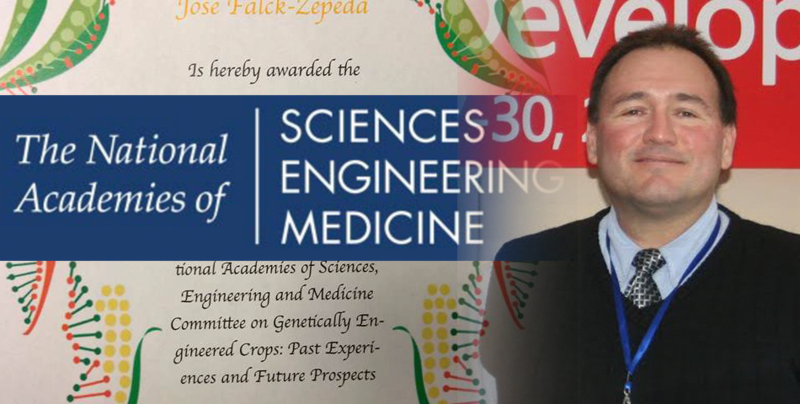 Dr. Falck, a Honduran national, believes that ZAMORANO instilled in him important values, and that the Learning by Doing program gave him the confidence to face new challenges, as well as the discipline and constancy to accomplish goals and objectives. “In my work as an academic and researcher, these are invaluable qualities because they imply curiosity. Curiosity that requires responding to existing questions and the ability to think of more questions than one can answer. 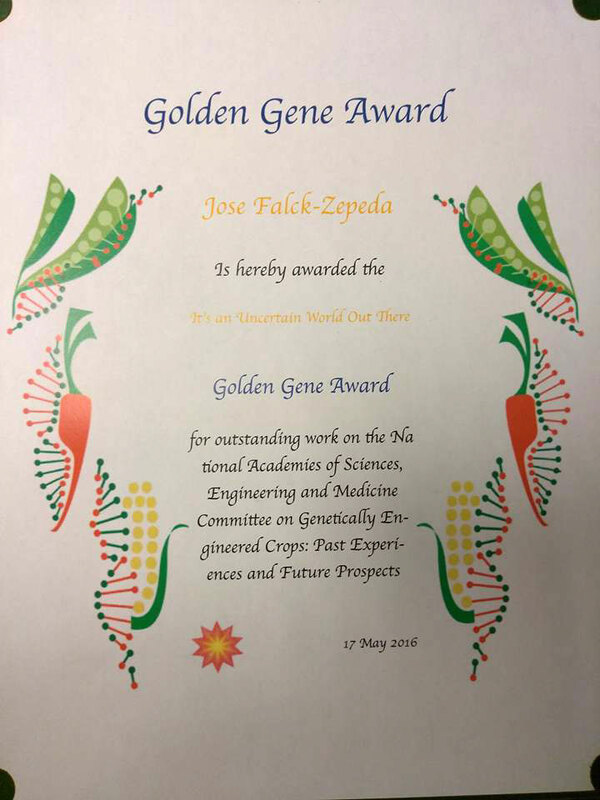 This is something I profusely thank ZAMORANO, as it was there that I developed a thirst for understanding how all things work,” expressed Dr. Falck. 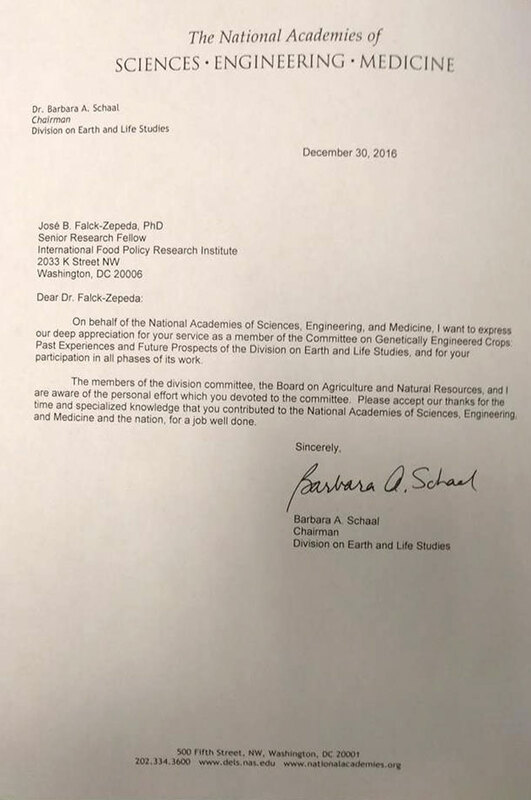 Dr. Falck currently works as Senior Research Fellow at the International Food Policy Research Institute (IFPRI), one of the world’s leading centers for agricultural policy research, which is also part of the Consultative Group on International Agricultural Research (CGIAR) Consortium.